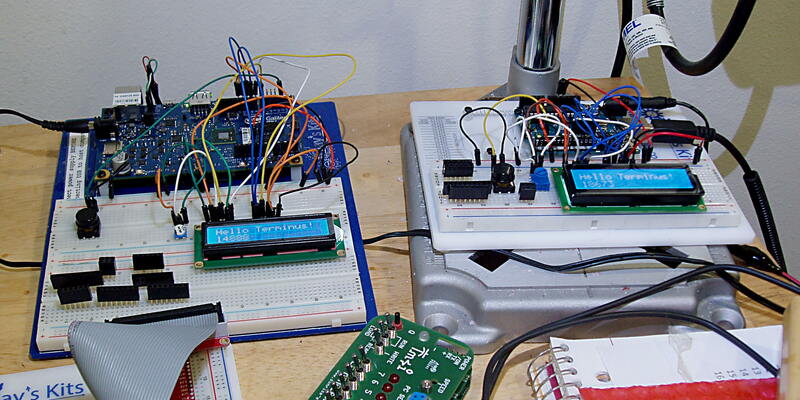 I have been busy the last few days documenting how to use my displays with Arduino. 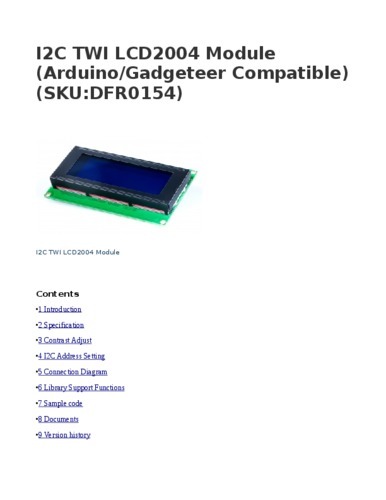 I created (2) prototypes using 16x2 LCD displays based on the commonly available and understood HD44780 driver. Then I had a really great 20x4 display and I2C interface combination created by SainSmart but Iooks like it might be originally from DFRobot. I tend to think DFRobot designed this as they had the best documentation. Mine however was labeled with SainSmart. So whomever created the design made it unbelievably simple to add a 20x4 I2C-connected display. Anyway this display was so simple to add to Arduino you just need (4) jumper wires (F-M) and load the LiquidCrystal_I2C library. You can get that from GitHub Repo Arduino-LiquidCrystal-I2C-library I have saved a copy of that repo Arduino-LiquidCrystal-I2C-library-master.zip here. 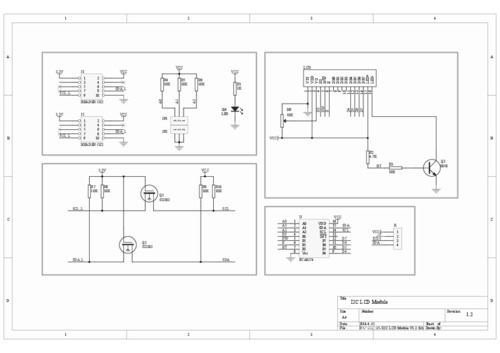 I guess using I2C eliminates a lot of spaghetti wires (see above images of 16x2 displays for an example of what I mean. 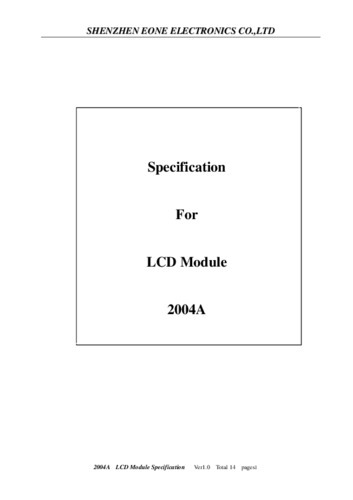 There is a great documentation page from DFRobot see I2C TWI LCD2004 Module (Arduino/Gadgeteer Compatible) (SKU:DFR0154) I have converted that page into a PDF file. It is using I2C communication interface, With this I2C interface, only 2 lines (I2C) are required to display the information on any Arduino based projects. It will save at least 4 digital / analog pins on Arduino. All connector are standard XH2.54 (Breadboard type). You can connect it with jumper wire directly. The manual is archived here in case it ever disappears from the original location. 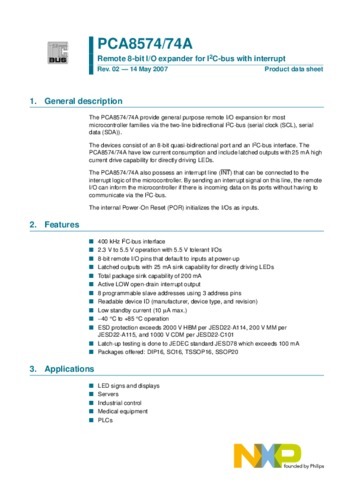 If you read it you will see it isn't much of a manual but then again this display package is almost so simple. 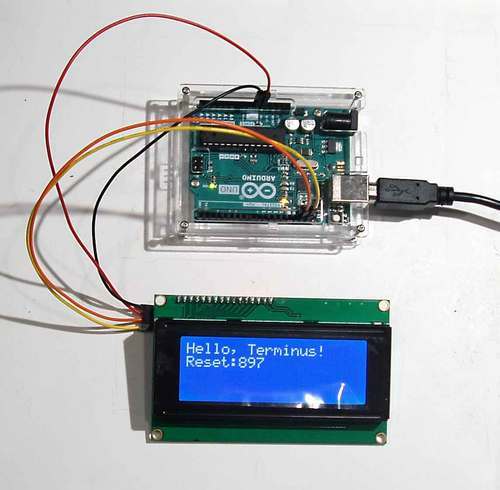 You just connect the pins from the I2C interface on the back of the display and then connect them to the corresponding pins on the Arduino and then install the libraries. Load the example sketches and go from there. It just works. This is a really great display to integrate into yournext project. I have had this one a couple years and finally got around to testing it.